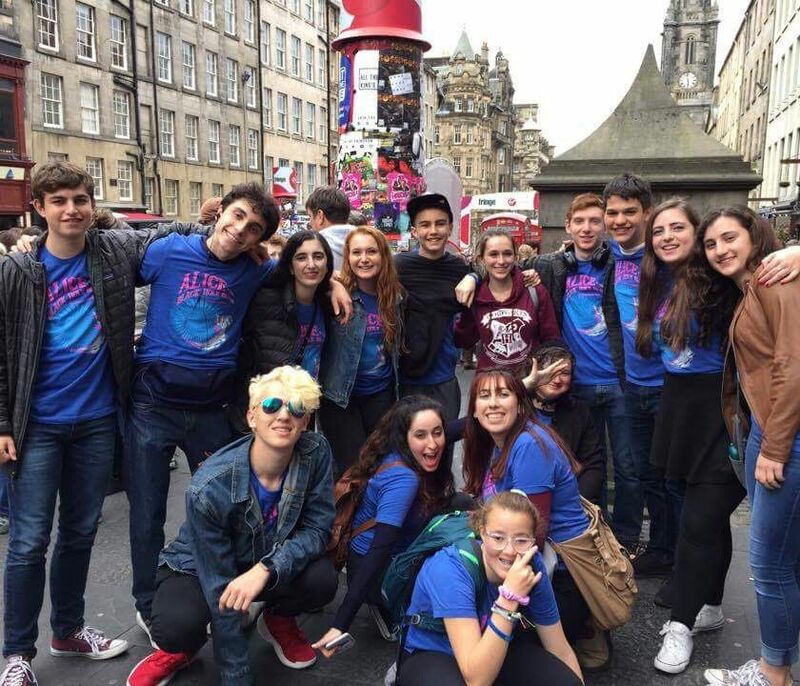 JCHS Junior and Drama Company member Sara M. took a moment to talk about the experience of performing in front of an outdoor crowd on the Royal Mile at Edinburgh's Fringe. About two days ago the cast of "Alice & the Black Hole Blues" performed in the Royal Mile at the Edinburgh Fesival Fringe in Scotland. Words cannot describe the experience. But I can share what I was feeling. The wind was low and it was a calm day. I had been freaking out all night and the morning of. I felt fairly good about what we were going to present, seeing as we had done it over a hundred times. But it would be our first performance out of the United States. My stomach turned with the thought. We got on the bus and my heart started pounding. I had never felt like this before. We strolled along the Mile and handed out flyers for our show. Walking up and down my heart rate picked up. But not in the “Oh my God” type of way, from pure happiness. Although some people were a bit rude about not taking the flyers, others were very kind. I watched as my fellow cast members effortlessly work the crowd and after a few minutes I finally got the hang of it. Ten minutes later and we are down to the two-minute count. Now I'm ready. We all look at each other, and screaming at the top of my lungs, I announced that the show will be on in two minutes. The music started and for the rest of the show it was a blur. It was the kind of rush that I only feel when I am skiing or playing an active sport. At the end, all I could do was smile. I didn't care if we had messed up. We bowed and then I saw my parents. It felt like there was joy radiating across the whole city. I have to say it is something that I will always remember in my mind when ever someone talks about Scotland. The Company's journey has also been covered in The Jewish News UK!